The company also refreshes the Yaris with an updated look and improves the interior tech. 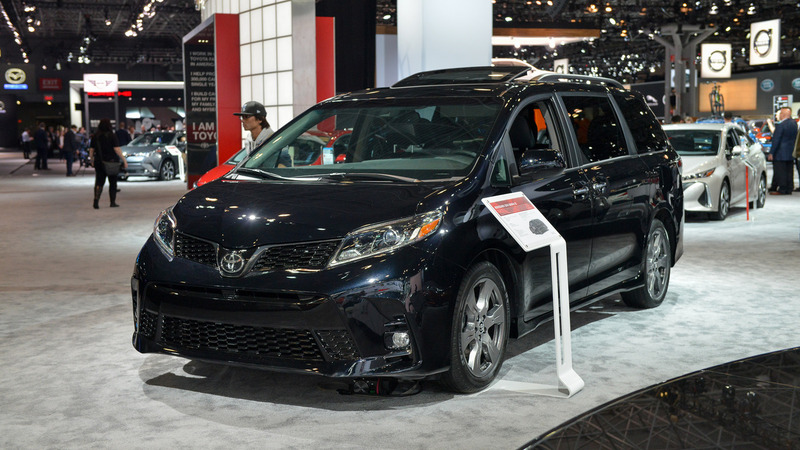 While Honda, Chrysler, and Kia have new generations of their minivans on the market, Toyota is sticking by the existing Sienna but keeping things fresh with mild revisions for it at the New York Auto Show. At the other end of the size spectrum, company also has updates for the little Yaris so that customers wanting a small vehicle can still have a big list of available equipment. The updated front end is by far the most obvious part of this refresh. 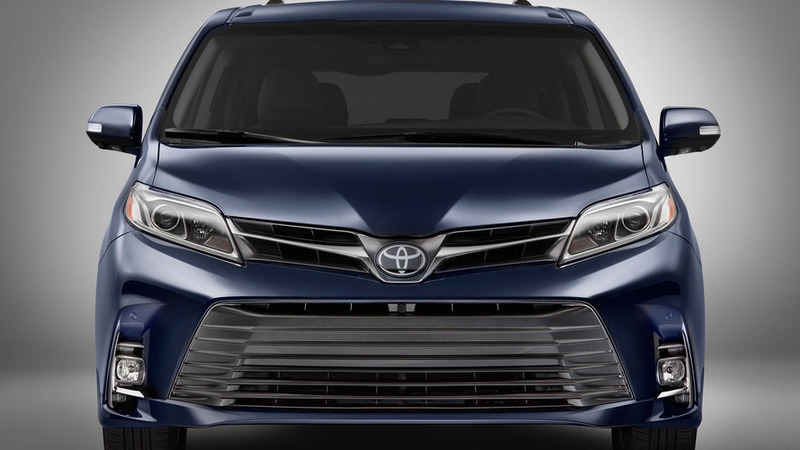 Toyota’s fits a new fascia and grille that takes minor cues from recent models like the Mirai. The look might be rather polarizing among buyers, though. The massive mouth near the road doesn’t fit with the rest of the minivan’s conservative design, and the new parts make the model like a giant handheld vacuum going down the road. 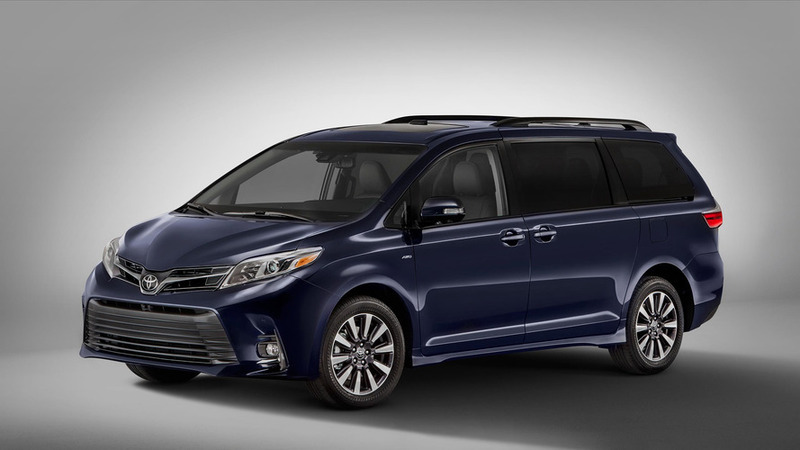 Minivans are more about utility than styling, and Toyota makes an effort to make the 2018 Sienna more comfortable for occupants. Starting from the mid-grade SE trim, a new laminated windshield reduces noise, vibration, and harshness. The higher-end Limited grade now has acoustic glass for the front row of seats, too. Five USB ports now cover the three rows of seats, too. Various versions of Toyota’s Entune 3.0 infotainment system are now part of the standard features list. On the L, LE, SE and XLE trims, it includes a connected navigation system. The LE, SE, and XLE grades also have an on-board Wi-Fi hot spot. The Limited has improved navigation over the rest and an improved stereo, including a 10.1-inch subwoofer – this most advanced tech is optional on the SE and XLE. The range-topping Limited Premium model is available with a Bird’s Eye View monitor for easier maneuvering in tight spots. Families can feel more secure in the 2018 Sienna because the Toyota Safety Sense suite of driver assistance tech is now a standard feature. It includes adaptive cruise control, lane departure warning with steering assist, automatic high beams, and a pre-collision system with pedestrian detection. The updates for the 2018 Yaris aren’t nearly as extensive. 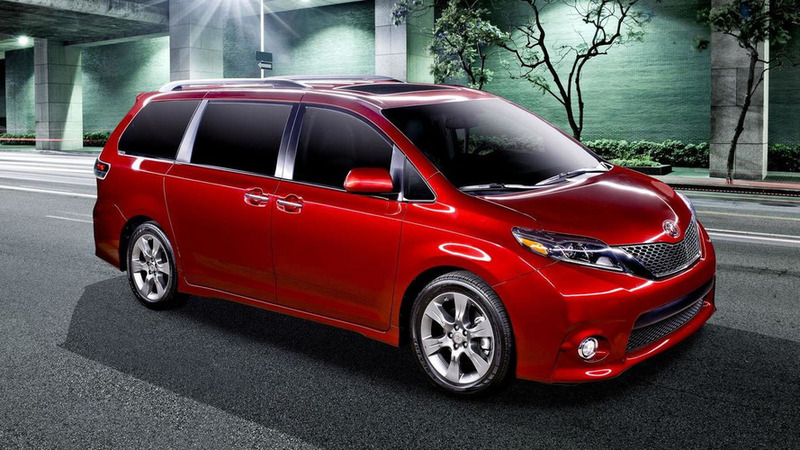 The hatchback also has a similarly styled front fascia as the Sienna, but the look fits the smaller vehicle better. At the back, new taillights and revisions for the rear bumper also update the model’s look. Inside, there’s a 6.1-inch Entune infotainment system on the L and LE trims. The SE has a 7-inch screen. A version of the Toyota Safety Sense suite is also now standard, including a pre-collision system, lane departure alert, and automatic high beams. Sienna, the top-selling van in the U.S. for the past two years, is assembled in America’s heartland at Toyota Motor Manufacturing in Princeton, Ind. It is an ideal family-friendly van, with a choice of seven- or eight seat cabin configurations, ample cargo space and an array of safety, comfort and convenience features. Powered by a 3.5-liter V6 producing 296 horsepower and 263 lb.-ft. of torque, Sienna is available in L, LE, SE, XLE and Limited grades. 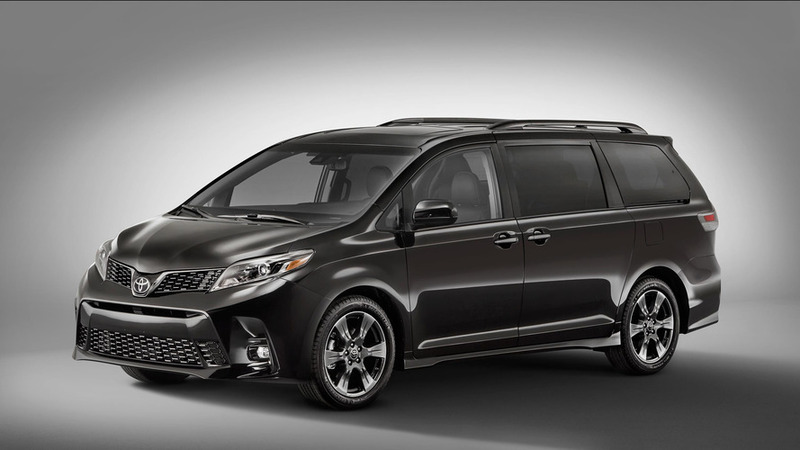 For active families on the go, Sienna remains the only van in the segment with available all-wheel-drive (AWD). 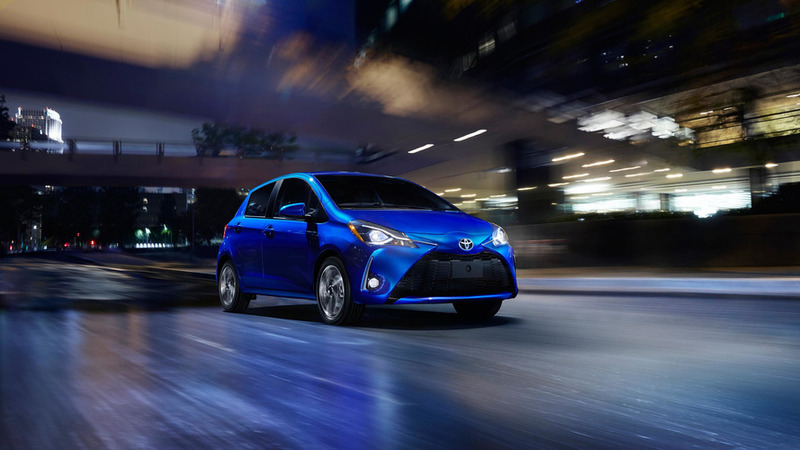 The fuel-efficient Yaris hatchback represents a great value for buyers on a budget as it is the Toyota brand’s least expensive model, yet it is equipped with many standard safety and convenience features. Among the many standard carryover safety features is Toyota Safety Sense- C™ (TSS-C), a trio of driver-assist technologies that helps drivers get from point “A” to point “B” with safety assurance. TSS-C technologies include Toyota’s Pre-Collision System, Lane Departure Alert and Automatic High Beams. Yaris offers both three-door and five-door body styles in three grades, the three-door L and LE, and the five-door Sporty SE. Neither Sienna, nor Yaris rests on its laurels for 2018. One year after the 2017 model year Sienna van ushered in a powerful and efficient new powertrain and led the segment in 2016 calendar year sales, the 2018 model adds many styling, and technological safety and convenience features. For 2018, TSS-P will be standard on all Sienna models. This multi-feature advanced active safety suite bundles cutting edge active safety technologies including Pre-Collision System with Pedestrian Detection (PCS w/PD), Full-Speed Range Dynamic Radar Cruise Control (DRCC), Lane Departure Alert with Steering Assist (LDA w/SA); and Automatic High Beams (AHB). Sienna drivers will enjoy enhanced connectivity and entertainment through the new Toyota Entune™ 3.0 multimedia system on all models, offering an enhanced set of connected vehicle technologies. The Entune 3.0 system will feature navigation and App Suite Connect for everyone. The Sienna L, LE, SE and XLE grades will come standard with the Connected Navigation Scout GPS Link with Moving Maps. Sienna LE, SE, and XLE grades will come standard with the Entune Audio Plus, which includes Safety Connect, and Wi-Fi Connect. WiFi Connect will allow up to five mobile devices to connect using 4G LTE. For those wanting it all, the Entune™ 3.0 Premium JBL Audio (available on SE and XLE and standard on Limited) adds Dynamic Navigation and Destination Assist and features new advancements in sound quality. Sound enhancements include Sound Staging, which positions speakers directly in front of the listener to help emulate a live concert venue; Low Frequency Sounds, made possible by an added 10.1-inch subwoofer; Clari-Fi, a technology that “un-compresses” music to help restore an audio track’s dynamic range; and nine speakers that are specifically tuned to cabin dimensions and materials. Exterior styling is updated with a redesigned front fascia that includes a larger, lower grille and a larger fog light compartment to convey a stronger presence. Like the current Sienna SE grade, side lower rockers have also been added to all grades for a sportier appearance. Noise, vibration and harshness (NVH) improvements have been added to the SE grade with a laminated front windshield, and the Limited grade with new acoustic front row side glass. The 2018 Sienna also offers nine exterior colors, including three new choices: Toasted Walnut Pearl, Alumina Jade Metallic, and Parisian Night Pearl. Designed and assembled in France, the Yaris builds on its European styling to add a sportier and more dynamic look for 2018. The updates start with both the L and LE grades receiving a new bold front fascia with a new grille and chrome accents. The SE grade will receive a sporty front fascia that features a new piano black mesh pattern grille surrounded by a chrome accent. The refined new front is complemented by a modern restyled rear to help provide a wider look and stance. The rear design includes wider, horizontal tail lamps integrated into the rear door, new rear bumper with styling more in harmony with the rear door design, and a new lower bumper garnish with side reflectors to help portray a broader stance. The SE is topped off with standard 16-inch Machined Alloy Wheels with dark accents. Inside, the 2018 Yaris receives substantial audio and convenience updates that start with the L grade upgrading to a standard tilt, three-spoke steering wheel with audio controls. Both the L and LE will now receive the same Sport analog instrumentation currently on the SE grade. The sporty IP includes speedometer, tachometer and fuel gauge; LCD display with odometer, tripmeters, clock, outside temperature, current/average fuel economy, distance to empty, average speed and shift position; ECO-driving indicator and warning messages (automatic transmission only). The Yaris will be available in eight exterior colors including two new selections: Blue Eclipse (replacing Blue Streak Metallic), and two-tone Blue Eclipse with a Black Sand Pearl Roof (replacing two-tone Crushed Ice with Black Sand Pearl Roof). Carryover colors will include: Super White, Classic Silver Metallic, Magnetic Gray Metallic, Black Sand Pearl, Ruby Flare Pearl, and the two-tone Ruby Flare Pearl with Black Sand Pearl Roof. The exterior color palette will be complemented with interior fabric choices of combined Black and Gray on L and LE grades, and all-Black on the SE grade. The 2018 Sienna will be reaching Toyota dealerships in the fall of 2017, while the 2018 Yaris will be available this summer.